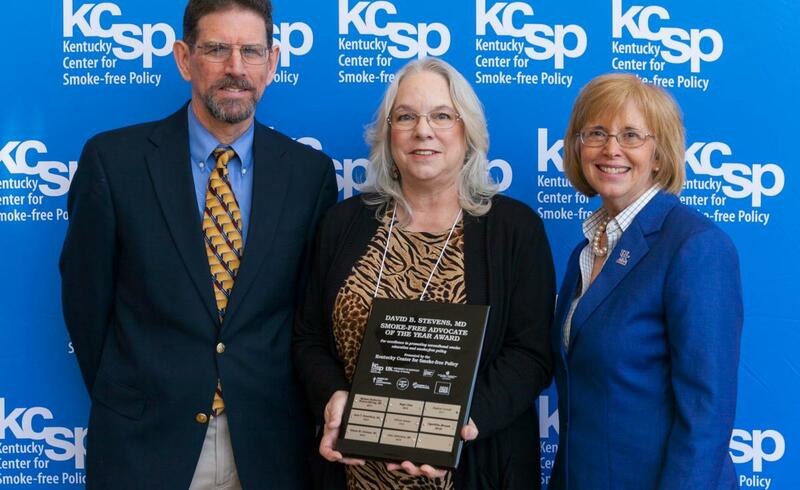 An unlikely collaboration between College of Nursing Professor Ellen Hahn, PhD, RN, FAAN, and geology researchers at the University of Kentucky resulted in a comprehensive geologic map showing the radon risks within 15 Kentucky counties. The mission of BREATHE is to promote lung health and healthy environments to achieve health equity through a) research; b) community outreach and empowerment; c) advocacy and policy development; and d) access to health services. BREATHE’S Vision is that all people will have access to clean air and live in healthy environments. Ellen Hahn, PhD, RN, FAAN, professor and director of BREATHE, appeared on Good Day Kentucky on Friday, January 25, to discuss the health implications of radon, a radioactive gas that lives in the soil and is harmful when trapped in a home or building. Supporters of a higher cigarette tax in Kentucky, including members of the College of Nursing BREATHE (Bridging Research Efforts and Advocacy Toward Health Environments) Team, rallied at the State Capitol in Frankfort on Thursday, February 8. 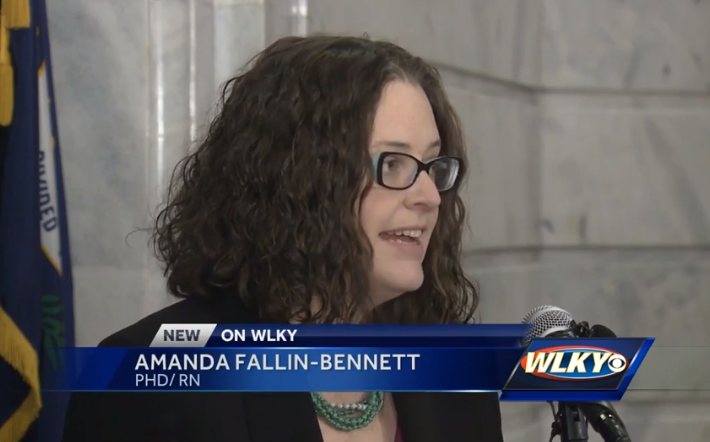 Dr. Amanda Fallin-Bennett was recently featured in a video on WLKY news in a push to raise Kentucky's cigarette tax to a dollar a pack. 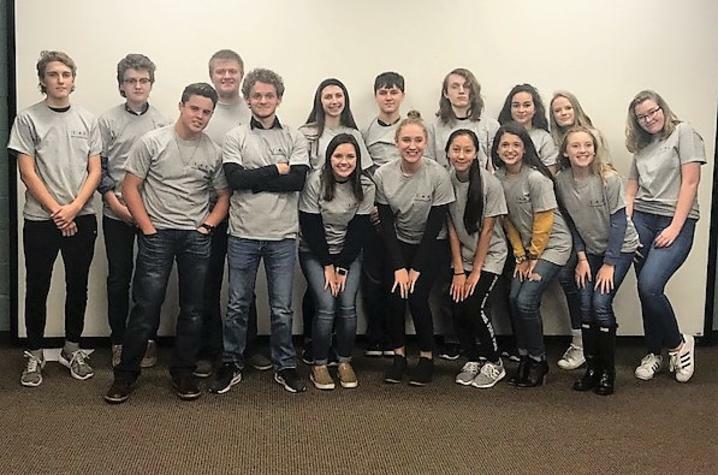 UK's BREATHE team recently partnered with Youth Empowered Solutions (YES) to host tobacco and youth advocacy training for leadership students of Hazard High School, as well as a training session for adult community advocates from around the state on the importance of youth empowerment and mentorship and how to engage youth in advocacy efforts. The mission of the University of Kentucky College of Nursing is to foster health and well-being among the people of Kentucky, the region, and the world through collaborative relationships that support excellence in nursing education, research, practice and service in an ever-changing health care environment. The University of Kentucky College of Nursing endeavors to be one of the nation’s top nursing programs among public research universities.